I wrote this article several years ago following a shooting that received front page media attention. I've repeated is a few times, most recently in July 2010. Since violence and murder are getting editorial attention again, I'd like to re-post it. Once again a horrific act has moved violence to the front page of Chicago's Sun Times newspaper, with the headline "ENOUGH IS ENOUGH". The article also quotes St. Sabina’s pastor, the Rev. Michael Pfleger, who said "it’s not enough to pray, not enough to lower flags every time an officer is killed." How many times must we read the same headlines? How do we move beyond the prayers, marches and flag-lowering, to the research, planning, brainstorming and action steps that are needed? On Thursday, October 08, 2009, Arne Duncan was quoted as saying, "This is the time to look in our collective mirror and ask whether we like what we see or whether we can do better together." This is not a new problem. However, it's a problem that our leaders can't stay focused on every day, because there are so many other problems. That's why I think it's important for another level of leaders to emerge, who are totally focused on building a better community understanding, and response, to the problems and solutions. 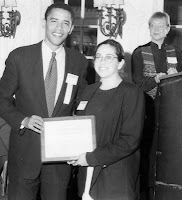 I've been issuing this invitation for the past 17 years, since we formed Cabrini Connections, Tutor/Mentor Connection, in the weeks following the shooting of Dantrell Davis in Chicago back in October 1992. I keep the front page of this Chicago SunTimes story in my office, as a reminder of my responsibility. This animation was done by one of my interns after reading this article. U – build a shared understanding. Form groups of peers to share reading and learning assignments, just as you meet every Sunday to read passages of scripture and build the group’s understanding of the Word of God. Use the many different resources of the T/MC Links library as the starting point for your search for wisdom, and understanding. G – give until it feels good – people who generously donate time and dollars to causes they believe in feel good about their giving. If we’re going surround kids living in poverty dominated neighborhoods with extra learning and adult mentoring networks, donors will need to give more than random contributions of time, dollars and talent. On the Bolder Giving web site donors are inspired to give to their full potential and those giving 50% or more are given recognition. Can we inspire donors who support youth services to give at this level? Here are other articles I've written on this topic in the past few years. I attended a Chicago Media & Youth Organization event this morning hosted by Community Media Workshop and Strengthening Chicago's Youth (SCY). The event introduced about 24 youth serving organizations, researchers and intermediaries like myself to about 100 youth and professional journalists. This was sort of a speed dating thing where every five minutes I'd talk to two or three different people. I gave out business cards and hope some will visit this blog to get more information. 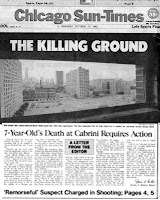 The newspapers are talking about murder in Chicago and the editorial writers are demanding new solutions and greater involvement from everyone. As I talked to the youth and professional journalist I encouraged them to think of ways the stories they write could pull potential volunteers and donors to their neighborhoods to support the constant improvement of youth tutoring, mentoring and learning organizations. 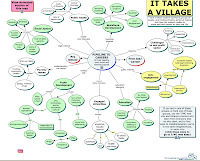 I've written a few essays in the past talking about ways young people can unleash their personal power, ways they can follow bad news media stories with "rest of the story" articles that draw attention to tutor/mentor programs (or the lack of them) in specific zip codes, and ways they can use the Program Locator to create their own neighborhood maps and include these in their stories. Think of the power that might be unleashed if students from hundreds of high schools and colleges were doing this. Follow this logic. The graphic below if from an essay I wrote showing how we need to expand the number of people using our information in order to influence growth and availability of volunteer-based tutoring and/or mentoring programs in more places. 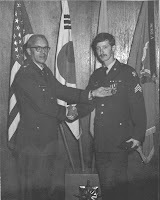 I started the Tutor/Mentor Connection in 1992 with the help of six other volunteers. By 1998 we had more than 80 pairs of teens and volunteers participating each year in the Cabrini Connections program. We had more than 200 people attending each of our May and November conferences. We had more than 12,000 people on our database and receiving our newsletters. 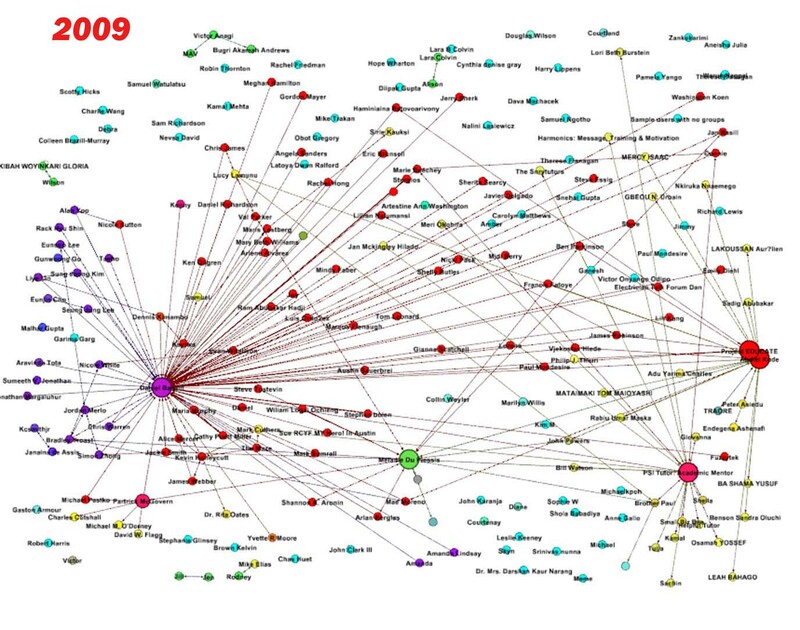 However we did not have a good way to show the growth of this network or show the diversity of its members. 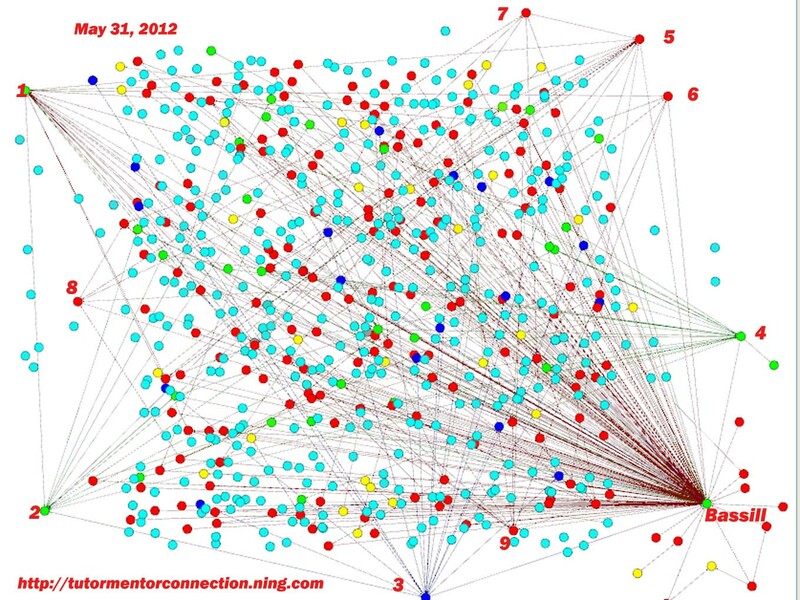 Over the past few years I've been looking at Social Network Analysis tools and articles showing the value of mapping and knowing your network. You can read some of these here. I've been trying to harness this technology but have not had consistent volunteer or intern support and no financial support. Thus, it's been a slow process. However, over the past six weeks interns from IIT have made some progress. 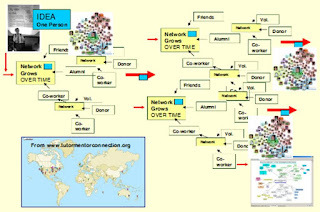 Chul Wan Park learned to use Gephi.com software and did some maps showing the growth of the network on our Tutor/Mentor Connection forum from 2007 till 2012. 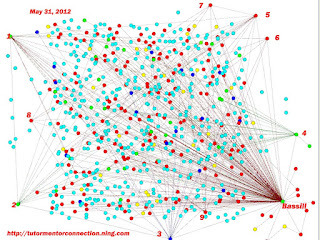 Since these maps are based on who is still in the network as of May 2012 they do not reflect people who may have joined but later left the group. 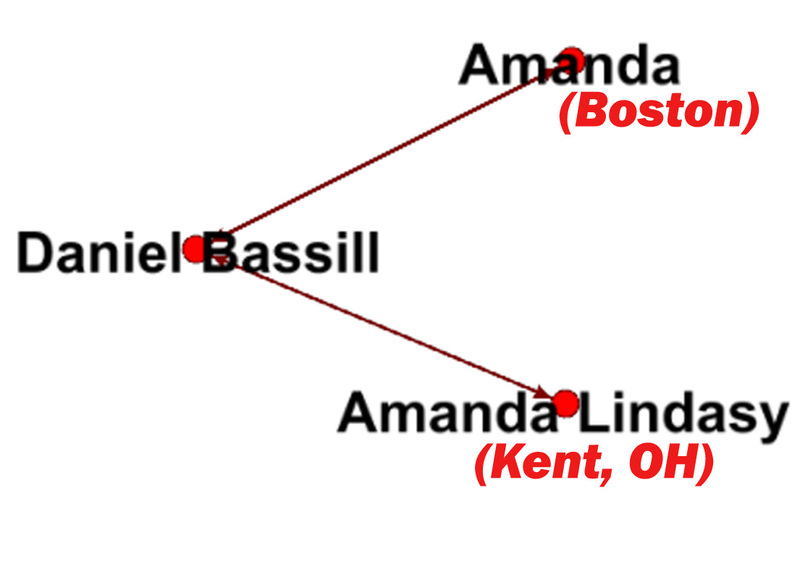 However, this map shows three people in the group at the end of 2007. This map shows that 58 additional people joined in 2008. The map below shows the network at the end of 2009. 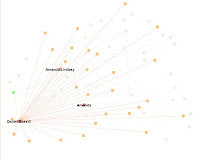 You can see that there are several people who have formed sub-networks within the forum. The map below shows the network at the end of May 2012. By then there were 417 people in the group. You can see at least 9 sub groups within this map. This forum is just one of the places I connect with people. 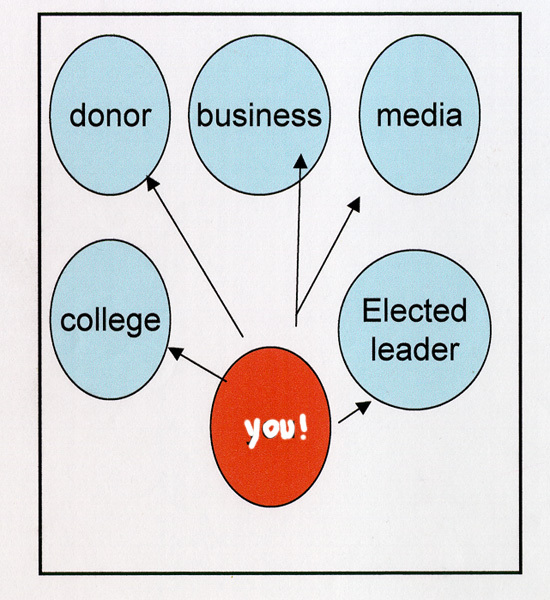 Yet, imagine if 50 groups of students duplicated the network-building that I do over the next five years. 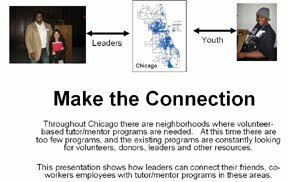 If their networks grew at the same pace, they would be connecting more than 20,000 (50 x 400 = 20,000) people to stories they write about ways people in the Chicago region can help make tutor/mentor programs available in high poverty neighborhoods. 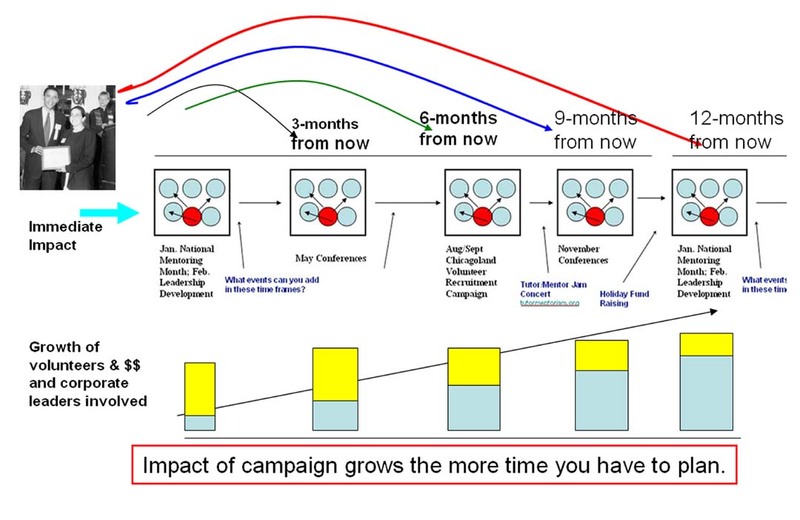 I use the graphic below to show that if we write about the same thing at key times each year, such as mobilizing volunteers to support tutor/mentor programs in August as school is getting set to start, or mobilizing donors in December before the year-end charity season, we can increase the flow of needed resources to every tutor/mentor program in the city, as long as every writer is pointing to the Program Locator directory that shows programs in all parts of the city. If more people are looking at this information more young people and volunteers will take on other roles, such as the interns working with me, creating new ways to understand how our networks are growing and new ways to hold adults, business and political leaders accountable for what they do to help kids have the support they need to thrive in life. This is not rocket science. It is advertising. It's what businesses do every day to draw customers to their stores. If youth and adult journalist can write stories talking about ways people can be involved in making programs available to help kids stay in school and move to jobs and careers, they can influence what others in business, entertainment politics and religion do. If enough people do this we change the flow of resources and the availability of constantly improving programs in neighborhoods where too many kids are dropping out of school, affected by violence, and failing to reach their full potential. We do more to solve the problems that have plagued our city for decades. We do much to reduce the high costs of poverty which is a burden to all of us. From my Facebook network I was pointed to a couple of articles on Crain's Chicago Business blogs. Why should you be concerned with random violence Click here. Too many murders, not much clarity. Click here. While the media attention on the recent rise in the murder rate now has reached a point where many are writing opinion pieces that show we all need to be involved in finding solutions, this is not a new problem. I've been writing articles about violence and poverty since I started this blog in 2005. 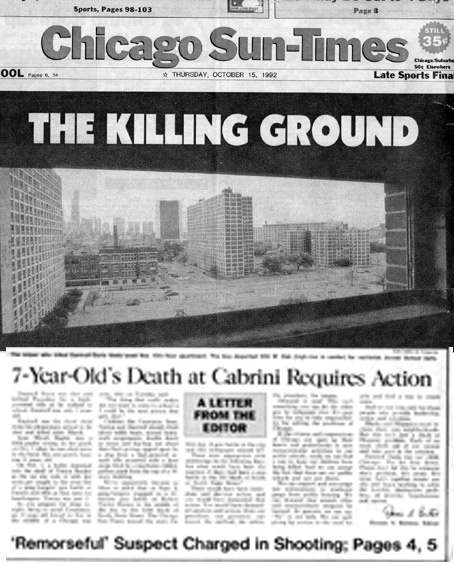 I’ve kept a copy of the front page from the October 15, 1992 Chicago SunTimes in my office since the day 7 year old Dantrell Davis was killed as he walked to school. I re-post this in my blog at least once a year to remind me and others that the problem sill exist and the responsibility for all of us to be involved has not changed. This is part of a library of news clippings, research articles, blogs, etc. 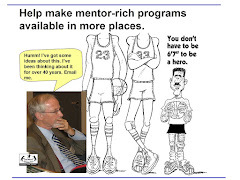 that I’ve amassed over 35 years of leading a volunteer-based tutor/mentor program in Chicago. Anyone in Chicago or the world can view this library. While we have occasional flurries of public indignation, we don’t have an on-going Public Awareness and learning strategy that keeps people focused on this issue on an on-going basis, with the same degree of connection that we have with sports, reality TV, and consumer advertising. As this article from 1994 shows, I’ve been trying to point consistent attention to this issue for almost 20 years. If we can draw more daily attention to the research then we can also point on a daily basis to all of the organizations who are offering tutoring, mentoring and extra learning opportunities in different parts of the city. I’ve been hosting a database of tutor/mentor programs on-line since 1998 and have piloted a map-directory that visitors can use to understand the distribution of programs in different parts of the city (or the lack of programs in many of the high poverty areas). People who are now concerned about violence can begin to use this information to think of ways they can use their own time, talent, dollars, technology, jobs, etc. in different sections of the city in a long-term process of helping build systems of support that combat the negative influences of poverty, gangs, drugs, etc. There are many more articles concerned readers might look at and discuss with friends, co-workers, congregations, etc. See the Tutor/Mentor Institute, LLC library. 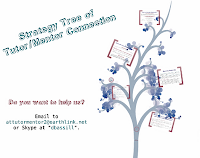 If you'd like to add me into your discussion please join my forum at TutorMentor Connection.ning.com, or on Linked in, Twitter or Facebook. 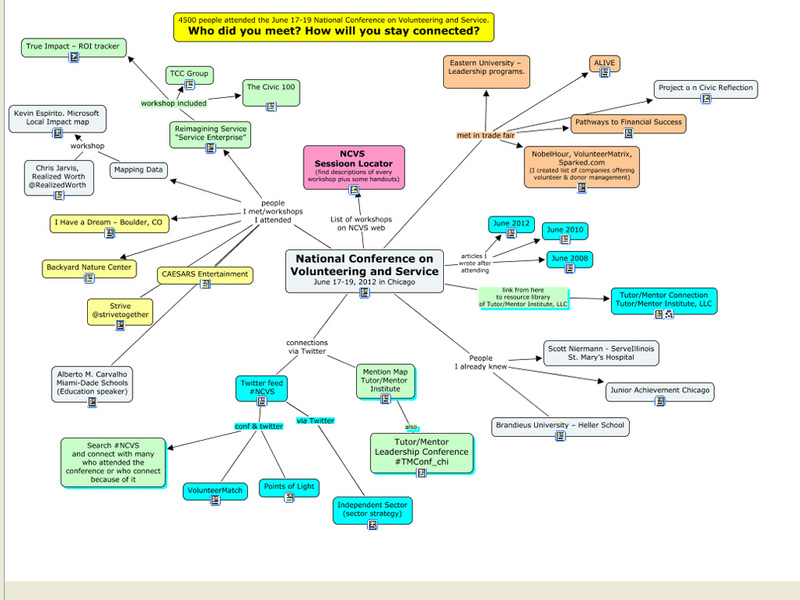 I was able to attend one day of the National Conference on Volunteering and Service, held in Chicago this week. As I've done in the past, my purpose was to connect with people and ideas that I could work with in the future to help make constantly-improving, mentor-rich non-school programs available in more high poverty neighborhoods. I met a couple of people who I've connected with in the past, such as Chris Jarvis from Realized Worth, and Kelli Covey from the Project on Civic Reflection. I also ran into Scott Nierman, who I met while we both were with the Illinois Commission on Volunteering and Service between 2001 and 2009. I was also able to connect with Pia Simone from NobleHour, who was the only company to be a sponsor for the last Tutor/Mentor Leadership and Networking Conference in Chicago. However, I think I met more people by taking part in the Twitter chat that was going on during the conference and continues this week. 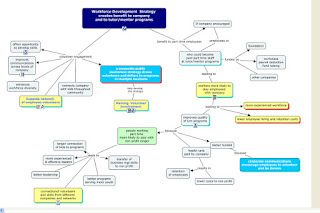 I've used concept maps like this to try to connect people who attend different events focused on education, diversity, the drop-out crisis, etc. 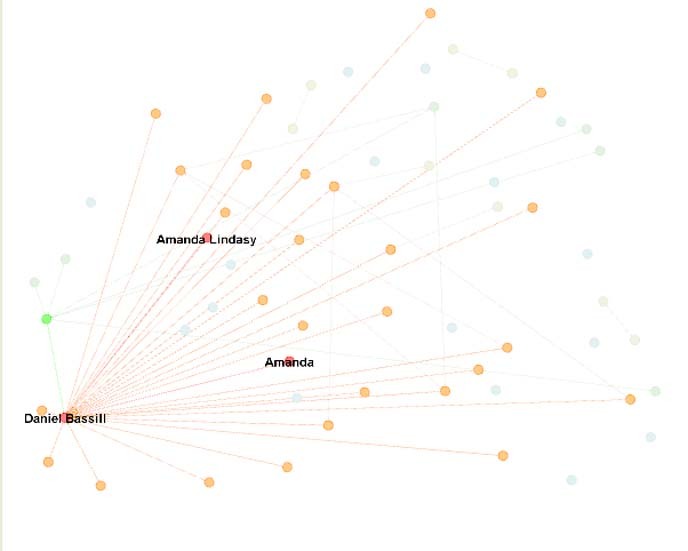 I keep adding to these maps, thus building the network of people who hopefully will connect with me and each other in the weeks between these events. 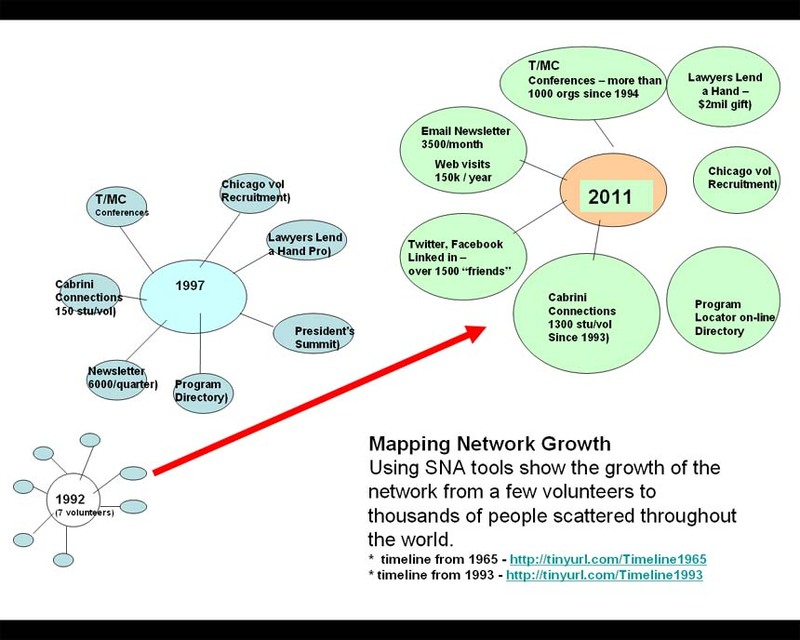 I've been working with interns to show changes in the network that grow over a period of years. 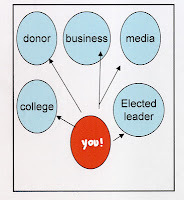 If we can demonstrate the role of the person with the database who invites others to come together, or who serves as a network-builder, connecting one group with other groups, perhaps we can find more ways to fund this work. 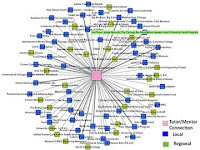 I will be sharing these maps on Twitter and Facebook to open my network to others and to encourage others who attend and organize these events to build their own 'network maps' showing who they connected with and who they will be working with in coming months and years. Post your link in the comments section if you do make such a map. This article from The NonProfit Times features Points of Light Institute CEO Michelle Nunn. If focuses on the challenges volunteer-based organizations have in attracting busy people to volunteer and donate in the nation's social sector. The 1994 Chicago Tribune story shows that this has been my focus since creating the Tutor/Mentor Connection. 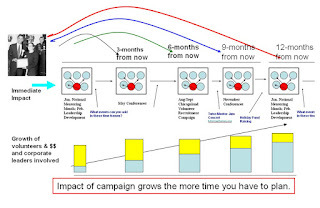 Click here to see many stories created as a result of this strategy. I'm in Chicago. My voice is small. My total budget for Tutor/Mentor Connection has never been larger than $150,000 in a single year. That does not include many dollars for advertising and public awareness. Yet, I fully agree with Michelle Nunn. We must find ways to tell stories on a daily basis the same way advertisers promote fast food, financial services, Viagra, etc. To do this we need many people in business, schools, faith groups, etc. writing and sharing stories that mobilize volunteers and donors to support tutor/mentor programs in every part of the Chicago region where they are needed. I've posted numerous articles to show how this might be done. Browse the leadership and collaboration sections of the Tutor/Mentor Institute, LLC. Form a group and begin learning about these strategies and ways they can be adopted in your own organization. Visit this site to see how interns have been involved in this work for many years. Anyone can adopt these ideas and provide as much leadership as they want. They don't need to tell me that they are doing this. However, if you appreciate the ideas and want to help me keep sharing this information, or do it even better, I'd appreciate your help, involvement and partnership. Read more. Since July 2011 when I moved from a 501-c-3 structure to a LLC tax structure people who supported me in the past as volunteers and donors have struggled to continue to support me. I've struggled to find ways to ask for help, even though I can't do what I'm doing without the time, talent and dollars provided by a wide range of people. Yesterday I attended a workshop at the National Conference on Volunteering and Service where the term "Service Enterprise" was introduced by an organization called Reimagining Service. We believe that one way to increase the impact of volunteering is to encourage the creation of more service enterprises. A service enterprise is a nonprofit or for-profit organization that fundamentally leverages volunteers and their skills to successfully deliver on the social mission of the organization. I've described myself as a social entrepreneur, a social innovator, and a network-builder. Others have called me a "thought leader". If it helps you to understand me as a Service Enterprise, then please use this definition as you read the articles on this blog and browse the Tutor/Mentor Institute, LLC. In the Chicago SunTimes today was an article showing the cost of violence in Chicago to be more than $5 billion annually. You can find the study here. If you want to help reduce this cost then become a volunteer, donor, partner of the Tutor/Mentor Institute, LLC and help me support the collective effort of hundreds of different organizations who are working to reduce the negative impacts of poverty by providing better non-school and school-based learning and mentoring support. This graphic shows the type of platform for learning and collective effort that I've been building and need your support to continue. If we can make this work in Chicago we can share it with other cities. If you are from another city and help me develop this platform you can have it for your own city at a much lower cost than what it would take to build it from scratch. I hosted another Tutor/Mentor Leadership and Networking Conference in Chicago last Thursday. 70 people attended. I've been hosting these since May 1994. Space was donated by First Unitarian Church in Hyde Park. Help was provided by Becoming We the People and several volunteers. Money was provided by a sponsorship by NobleHour. The photo is part of several taken at the conference by Mina Song, an intern from IIT and Korea. See the slide show here. 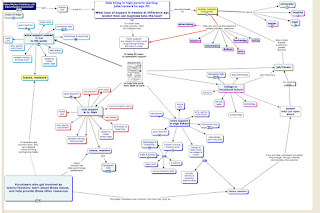 I've shared maps like these at every conference since 1995. They emphasize the need to support the growth and operations of mentor-rich programs in every poverty neighborhood. They also emphasize the need for leadership and accountability in business, religion, universities, politics so that more people are taking an on-going role of making constantly-improving programs available in more neighborhoods. In addition to maps I've also shared newspaper stories that highlight why mentor-rich programs are needed and ways volunteers, donors, students and leaders can act every day to support the growth of these programs. This week more than 4500 people are gathering in Chicago for the annual National Conference on Volunteering and Service. I'll be attending tomorrow. 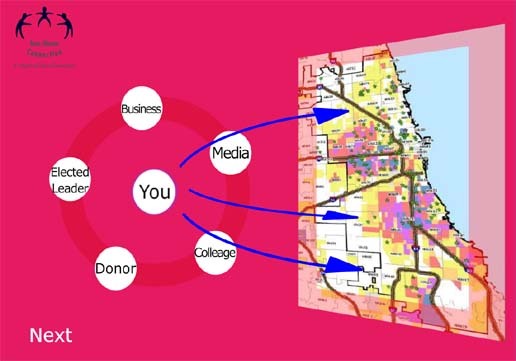 However, with so many people and so many workshops, there will be little opportunity to connect with all of the people who need to be involved in building infrastructure and marketing strategies that support tutor/mentor programs in Chicago and other cities. While were in the middle of June, my goal is to focus attention on what we might do in August to help mobilize more volunteers and what we might do in November to help raise visibility that increases year-end donations for all of the different programs operating in Chicago. If teams of people in churches, businesses, political offices, schools, etc. 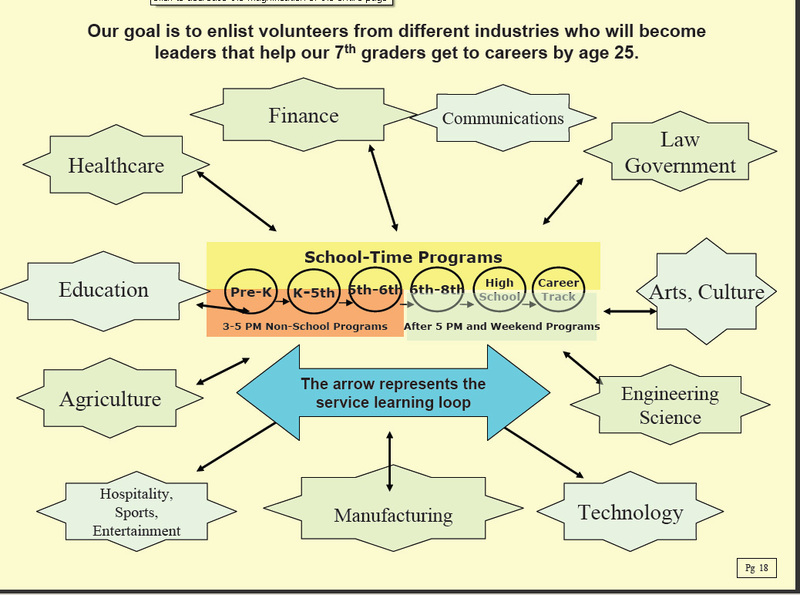 would use this event chart to brainstorm ways they can use their time and talent to mobilize needed resources to support the growth of tutor/mentor programs, future conferences could become recognition events showcasing the best work done by organizations in each category. I encourage you to spend time reading some of the articles posted here and that I've written in the past. If you use these to build your own leadership team and strategies we can be working collectively to make more programs available in the neighborhoods where highly concentrated poverty is a root cause of many social and educational problems. The front page of today's Chicago Tribune featured a photo and story under the headline: Anti-violence program fails to save young Markham man. The story talked about the highly visible and very expensive Chicago Public Schools anti-violence mentoring program designed to target a small group of youth with high potential for being involved in gang violence. For one youth, that was not enough to keep him from being gunned down in Chicago this week. The final line in the story is "He died with bullets in his head, chest and arm, and a mentor who keeps wondering what else he could have done." In another section of today's Tribune, columnist Mary Schmich writes about Life in 2 Chicagos showing how most of Chicago area residents are safe from the violence that is a daily part of the lives of others in Chicago. I've written about violence in Chicago in many past blog articles. I've included maps in my stories to try to focus attention on the need for a wide range of youth supports in these neighborhoods. I've created an interactive map/program locator that anyone can use to see the connection between poverty and poorly performing schools and to learn about volunteer-based tutoring and/or mentoring programs operating in different parts of the city. a) bring enough people from all sectors into a learning and service process where we build empathy through our direct involvement and we build growing understanding through the on-going reading we do from libraries of research like the one I've been hosting for the last 15 years. b)we've never found a way to keep this story in the media and in business publications on a daily basis the way fast food stores, banks and other retailers keep their products and services in front of potential customers. Without consistent advertising we can never get enough people and resources involved in all the places where concentrated, segregated poverty is the root-cause of the violence. c) we've not found a way to make this issue important enough to business so that they would have teams of people working regularly to find ways to reach kids with volunteers, ideas, technology and jobs training programs that expand the social capital connecting youth in islands of poverty with the rest of Chicago and the opportunities these young people have in the future. I said this is not a new problem. 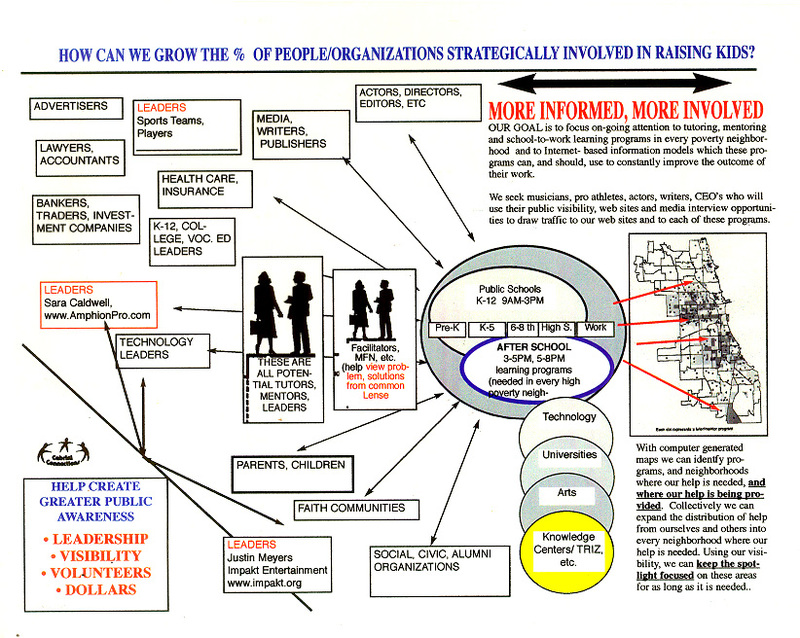 This 1994 report titled Children, Families and Communities: A New Approach to Social Services, called for the creation of a system of primary supports that would reach kids before problems occur. It also called for a system of intermediaries to support the knowledge sharing and network building required. I wrote about the CPS anti violence program in this 2009 article. I wonder how many people who have been mentors with Big Brothers or any other tutor/mentor program in Chicago over the last 18 years have been encouraged to read this or to think of ways they could do more to help the kids they mentor than just raise money for their own non profit, or than just spend time with a kids for a few hours a week and a couple of years? However, there's a second problem. 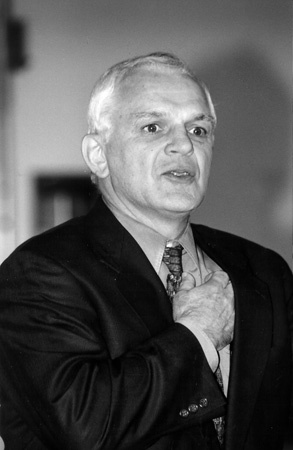 In his book Uncharitable, Dan Pallota talks about philanthropy as an unworkable system. Michael Porter, a Professor at Harvard University understands that the philanthropy model does not have enough money to fund all social problem solving. Instead, he feels that "Companies must take the lead in bringing business and society back together." He describes the "principle of shared value, which involves creating economic value in a way that also creates value for society by addressing its needs and challenges." How many volunteers who come from the business community are reading articles like this or visiting forums like this and starting conversations in their companies aimed at creating new business models that "re-imagine and re-engineer" the support systems that reach kids in high poverty with programs, services and mentoring that helps young people learn to become CEOs of their own futures even before they enter middle school? When the Chicago Tribune puts a story on the front page and devotes another full page to the story it is investing nearly a half million dollars in printed space and message distribution. It is potentially reaching more than a half million volunteers, innovators, investors, etc. Few non profits have millions of dollars for advertising and few public service campaigns have this type of daily impact. We need to innovate new ways to bring people together and create the advertising, team building and communications systems that support this. If we want to solve the problems we face we need to invest in long-term learning, innovation, complex thinking and problem solving. We need to create platforms that bring thousands of people together on a regular basis and that distribute the time, talent and resources of these people to many places where help is needed. I'm hosting a conference tomorrow at First Unitarian Church in Hyde Park and welcome your attendance. I doubt that many who attend are thinking of Shared Value or have read the 1994 report, but through this my on-going efforts I keep trying to bring more people to this information. Few of us can meet face to face. Many of us can meet on-line. Let's connect. Read more of my articles in the Tutor/Mentor Institute, LLC web site and in this library of articles. I encourage you to read this CBS News story where the Chicago Police Department Superintendent says the Crime Crisis is "not going to be solved overnight". I've been posting stories for many years saying that we need a comprehensive, long-term strategy where leaders from many sectors are involved. I've also been sharing ideas that leaders could incorporate into their own strategies. And, I've been hosting a networking conference every six months since 1994, inviting leaders from non-profits, philanthropy, schools, business and faith groups to attend. I'm hosting another networking event this Thursday, June 14 at First Unitarian Church in Hyde Park. It may be a small crowd since so many other things are going on. 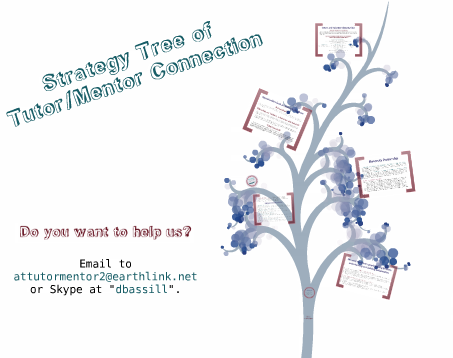 But by hosting the event I'm able to draw attention to tutoring/mentoring in email, web sites, blogs, twitter, etc. and hopefully point more people to the ideas I and others share on our web sites, and hopefully build interaction in on-line forums where more of us might connect. There's still time to register (click here). The Police, Hospitals, even the Mayor's office are welcome to send representatives. 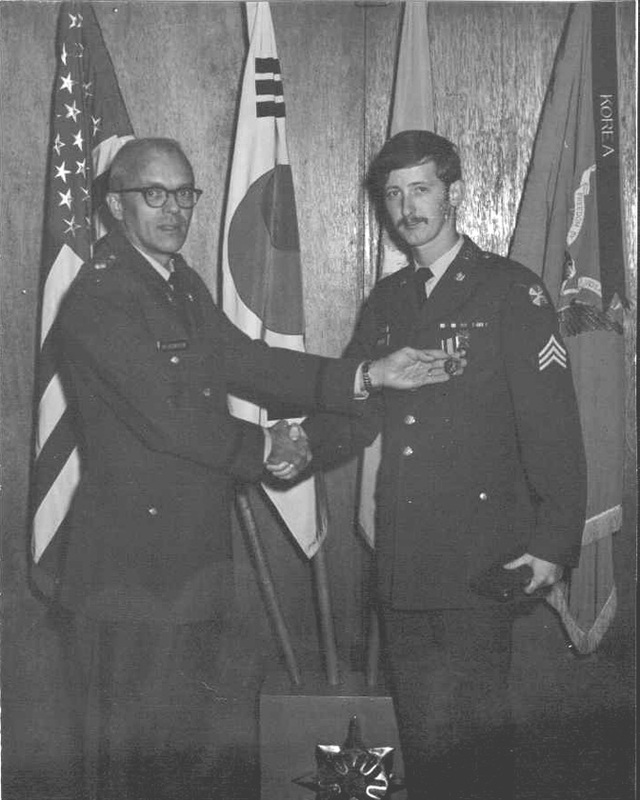 I've received a number of awards recognizing the work I've done over the past 40 years, starting with an Army Commendation Medal that I received in 1971 as I finished my tour in Korea. You can see a list of awards and recognitions received here and a list of newspaper stories here. 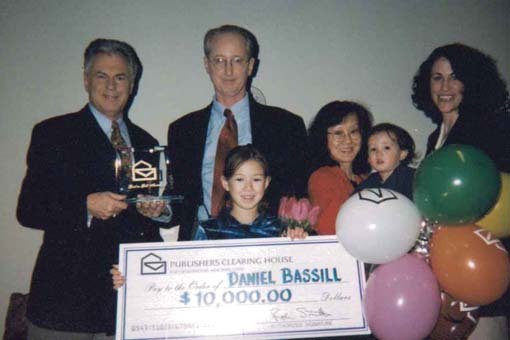 One was the Publisher's Clearing House Good as Gold award that was presented on the Montel TV Show. None of these awards was earned by my efforts alone. Many people have volunteered time, talent and dollars to help me build and lead tutor/mentor programs at Montgomery Ward between 1994 and 2011. This has always been a team effort. One recognition I appreciate the most came from this article written in 2009 by Phil Shapiro. 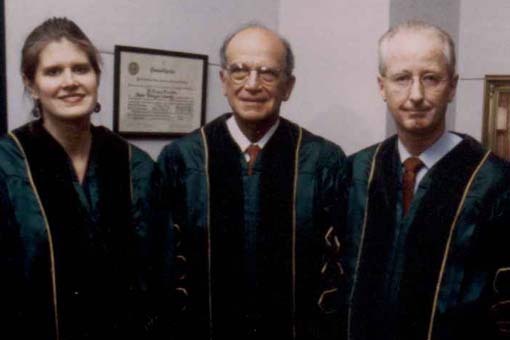 Another was receiving an honorary PhD from Illinois Wesleyan University in 2001. Of course, the best award is hearing alumni tell how much their lives have been transformed because of being part of a tutor/mentor program. Year-End Dinner 2010: Tangela Marlowe from Cabrini Connections on Vimeo. I'd like to see thousand of people earning all sorts of awards for what they do to help volunteer-based tutor/mentor programs reach k-12 youth in high poverty neighborhoods of Chicago and other cities. That's why I write these articles every week. I've been hosting a gathering of tutor/mentor program leaders and supporters in Chicago every six months since 1994. The above photo is from a 2009 conference. You can see collections of photos from previous conferences here. You can see videos here. 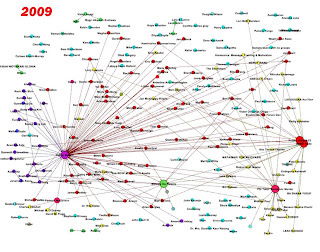 You can browse this list of attendees for conferences going back to 2007 to see who attended. More than 1000 different organizations have participated at least one time since 1994. 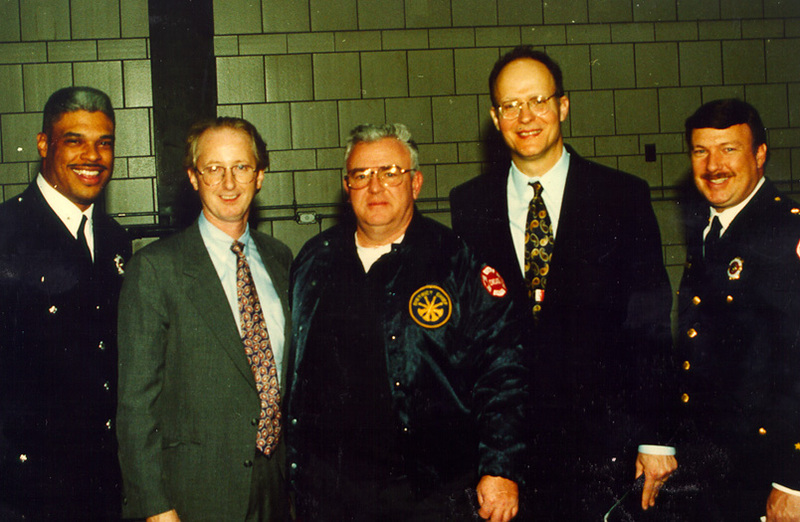 We held one conference at the Chicago Fire Department Academy and Paul Vallas, CEO of Chicago Public Schools was a speaker. At another conference Cook County States Attorney Dan Devine was a speaker, and a sponsor. Anita Alvarez, the current States Attorney attended. 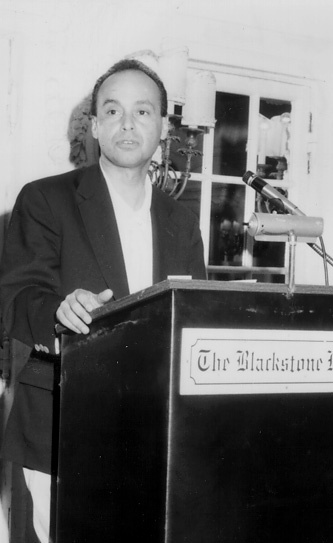 Congressman Luis Gutierrez was a speaker in 1999 and at the same conference a little known State Senator was also a speaker. In all of these conferences I've shared ideas and strategies for mentoring inner city kids through school and into jobs and careers. All of these strategies aim to enlist leaders and groups in various industries who will mobilize volunteers and donors to support volunteer-based tutor/mentor programs all over the Chicago region. 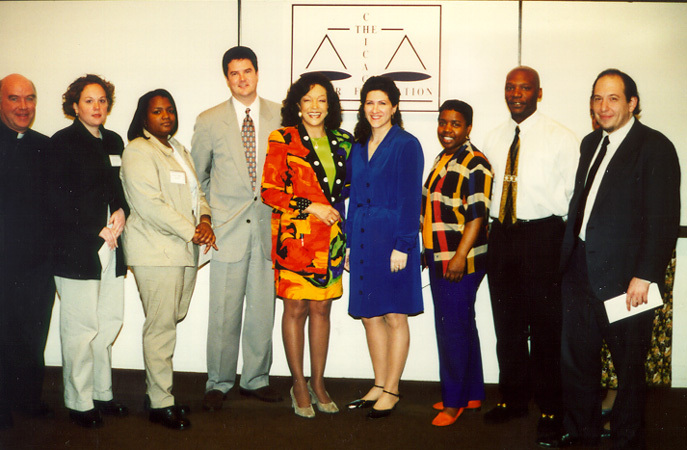 During the 1990s I helped the Lawyers Lend A Hand Program at the Chicago Bar Association grow and each spring they presented small grants to 15-30 different Chicago area tutor/mentor programs. I keep looking for evidence that these strategies are becoming part of the on-going leadership of the people who have been part of the conferences in the past. The problem certainly has not gone away. Maybe they will send representatives to the next conference being held on June 14 at First Unitarian Church in Hyde Park. The TeamNFL program with United Way has NFL players from every city encouraging fans to become volunteers in tutor/mentor programs. 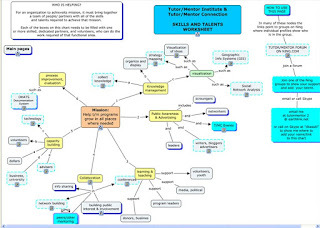 I hope that athletes will take a look at presentations like this which show ways they can use their visibility on an on-going basis to help build the infrastructure that enables volunteer-based tutor/mentor programs to operate in more places. This video is one I've discovered as a result of connecting with a Systems Thinking World group on Linked in. 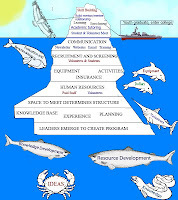 In the video is a graphic that looks like an Iceberg along with a graphic showing a problem solving process. I've used this graphic to show the range of skills/actions that need to be embedded into a tutor/mentor program in order for it to have a growing impact on the lives of kids, volunteers and communities. 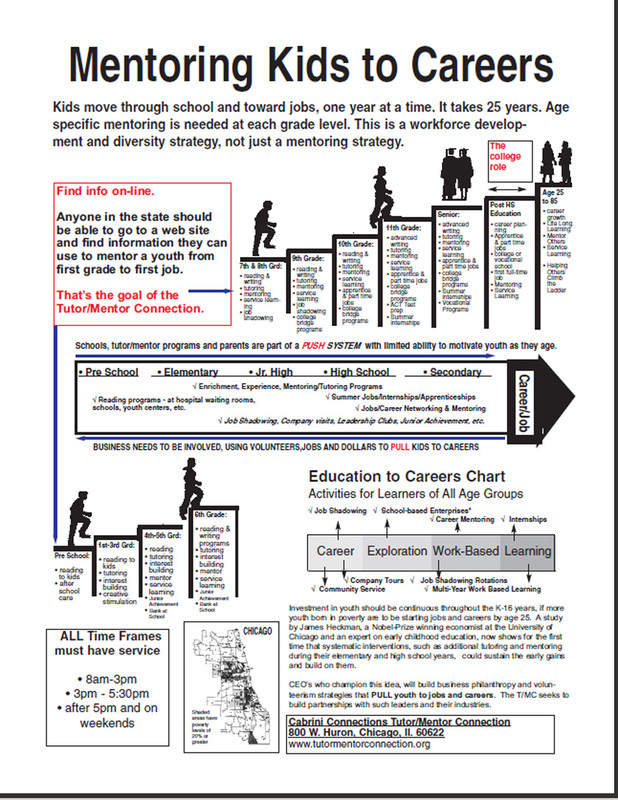 This graphic includes a map, illustrating that great tutor/mentor programs are needed in many parts of Chicago. It also includes an inverted pyramid which illustrates steps communities need to go through to build enough support and u understanding to generate the resources that enable each program to have the skills/talents shown in the above graphic. 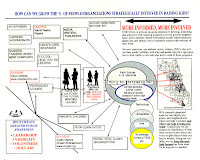 And it shows a need to connect people from beyond poverty with the information being shared and with programs in different high poverty neighborhoods. 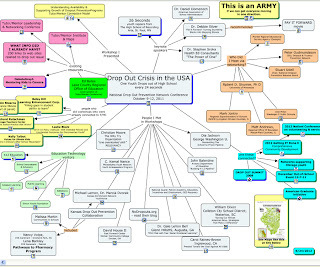 I'd like to find volunteers, interns, researchers, Phd students and partners who can convert my maps and charts and essays into systems thinking diagrams and videos so that we might gain grater understanding and support for the ideas. "This is Jurandir from Brazil. I would like to let you know that we have been seeing the results of our work that we started 20 years ago. I want to thank you because Cabrini is part of this blessing among poor families. Today we harvest good fruit in the community having good professionals, good parents, good parents. I thank you so much for your job. God bless you." Jurandir started responding to my email newsletters more than a decade ago. I hosted him and his wife for a short internship in Chicago. We've stayed connected because I've found a way to stay in business for 18 years even though I've never had much funding to do what I do and it's very difficult to show measurable impact. However, stories like this show value. If you can invest and support this strategy click here. D-Day - Team Effort. Shared Value Model? I just viewed a video on the Forbes.com web site where the author talked about what the term “creating shared value” means. He shared three strategies for creating shared value, and one was to "create clusters" of companies that "look down the long road to the future". "Creating Shared Value" is described as a new idea, but it seems to me great leaders have been bringing groups together to solve complex problems for a long time. We have all profited as a result. As we celebrate the D-Day landings in WW2 I encourage you to think of the planning and leadership that was needed to make this happen. 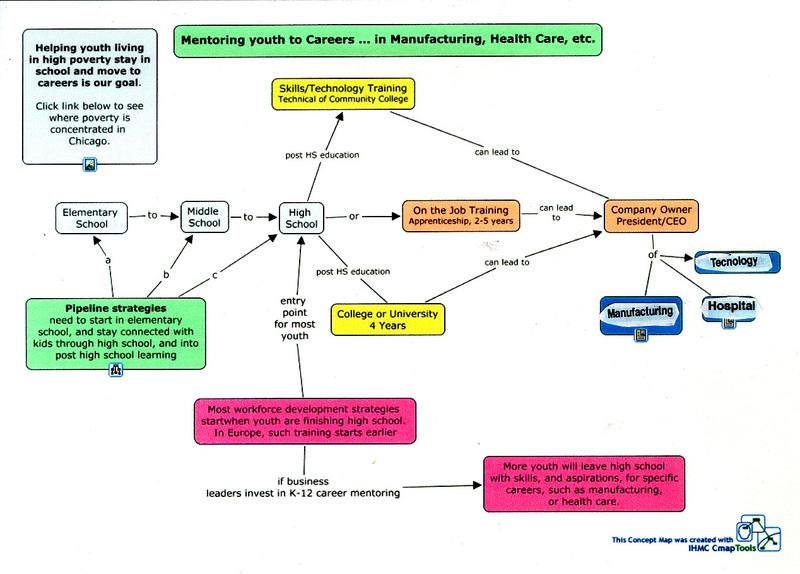 In my writing I use graphics like the one below to illustrate a goal of helping kids to jobs and careers. I think leaders in business might apply the concept of "creating shared value" and "creating clusters" in their own efforts to assure that they have the workforce they need in the coming years and that they also lower some of the costs associated with poverty in big cities where they operate. It's not philanthropy to take a lead role in bringing young people and people of color into the workforce. It lowers costs of poverty which business pays via taxes and higher wages to recruit employees into a region with high crime and poor schools. I create these graphics using a CMap tool, as well as using power point. 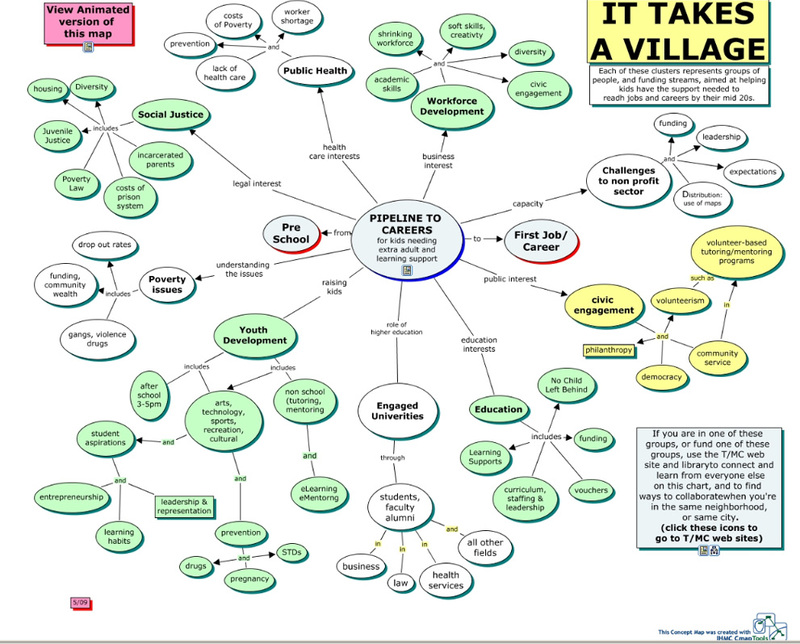 Below is another that illustrates roles business might take. You can find this map here. 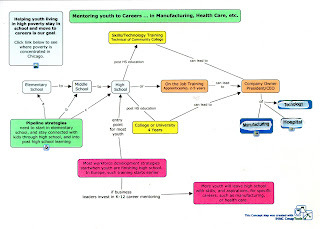 Follow the links from it to see maps like this, which illustrate a role CEOs might take in building "clusters" that include community organizations, schools, colleges, political leaders who should be all connected in the business of creating a future workforce and future citizen leadership for America. In this blog the writer talks about creativity and how it is so important to the future of America. In this set of articles I talk about MOOCs, or Massive open Online Courses, which to me offer a way for corporations to support "clusters" of business and community partners who dig deeper into libraries like this and use the shared information to innovate new ways to prepare more young people for the workforce and future adult responsibilities. In this ROLE of LEADERS article that I wrote more than 15 years ago I outline steps a CEO might take to create a "cluster" focused on workforce development and poverty reduction. This could mean forming teams within companies to take on this project. It also could mean giving $40 million to a university with the stipulation that the money be used to support this team building, learning and innovation process. Some CEOs understand that it is D-Day and we need to create new beachheads where we reach kids with learning, mentoring, vocational training, etc. that is not being provided in traditional schools throughout the country, and is less available in schools in poverty neighborhoods. Chicago will host the National Conference on Volunteering and Service from June 17-19. 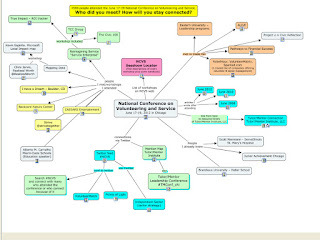 If you're attending and you find workshops using maps and graphics like these please share on Twitter. I'll be following. For those who may not be able to afford the National Conference, I'm hosting a Tutor/Mentor Leadership and Networking Conference on June 14 at First Unitarian Church in Hyde Park. I've hosted this conference every six months since 1994 in my own commitment to building "shared value" and "collective effort". Use hashtag #TMConf_Chi to connect on Twitter. Sign in at http://tweetchat.com/room/TMConf_chi starting June 12 and follow on line. Become a middle-man in making change happen! 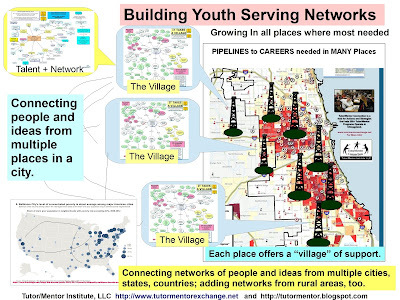 This graphic is from a new presentation created by Mina Song, and intern from IIT, who has been working with Tutor/Mentor Institute, LLC in Chicago since mid May. This is the third of four presentations she's developing to help communicate the 4-part problem solving strategy that I've developed since 1993. There is a mountain of research and articles available to help anyone build a PhD in understanding how concentrated poverty in big cities contributes to the high social and economic costs of poverty. However, there are not enough places where people are reading parts of this research every week and discussing it, in the same way faith groups read scripture and discuss it each week. 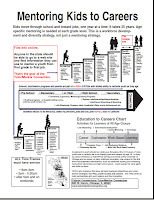 Nor are there enough leaders using maps and graphics to illustrate a need for resources to be distributed consistently in thousands of places for many years in order to overcome the weight of poverty and help more kids move through school and into "family sustaining" jobs and careers. We need more people helping others find and use this information. Such people are facilitators. They are also important "middle men" and "intermediaries" who are needed to help make change and social problem solving a reality. 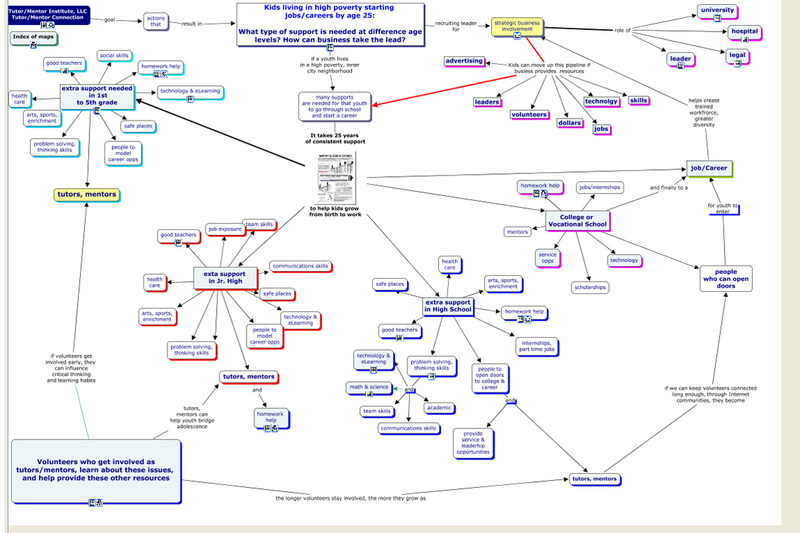 This concept map illustrates the many different supports all kids need as they grow up. Kids in poverty areas have fewer of these supports and in highly concentrated areas family and community have less ability to bring these supports to their neighborhoods by their own efforts and without help from others. Volunteers who become involved as mentors, tutors, coaches, etc. can become bridges, or social capital, that link the needs of the community to resources and ideas beyond the daily reach of community members and kids. This map shows how a map can be created of a Congressional District to show the level of poverty and the availability of needed resources in all poverty areas of the district. The map can show assets in the district who should be working to help every child in the area move through school and into jobs BECAUSE they share the geography themselves! You can use the Tutor/Mentor Program Locator to build your own maps. While blogs like this can share these ideas and concepts with a few people, the presentation done by Mina illustrates the need for many people to take on roles of collecting, communicating and helping people understand and use this information. 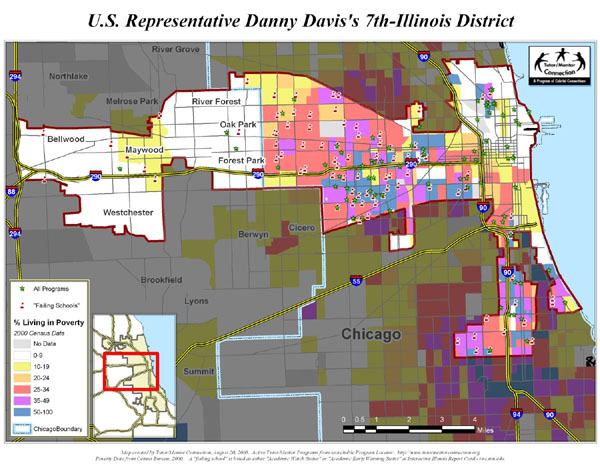 With maps we can focus attention and resources to specific neighborhoods, and at all of the high poverty neighborhoods in a big city like Chicago. The conference I host on June 14 is an invitation for people who are concerned with poverty to connect and network on a face-to-face basis. I've been hosting this conference since May 1994 but with little financial support or partnership from others who bear the high costs of poverty and social injustice in Chicago. Yet, more than 1000 organizations have participated. 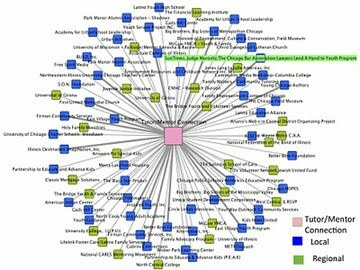 This blog shows some network analysis maps created to illustrate the range of organizations who have participated. I hope you'll join in on the next conference and become a partner, sponsor and/or benefactor to help Tutor/Mentor Institute, LLC continue to share these ideas and build this network.